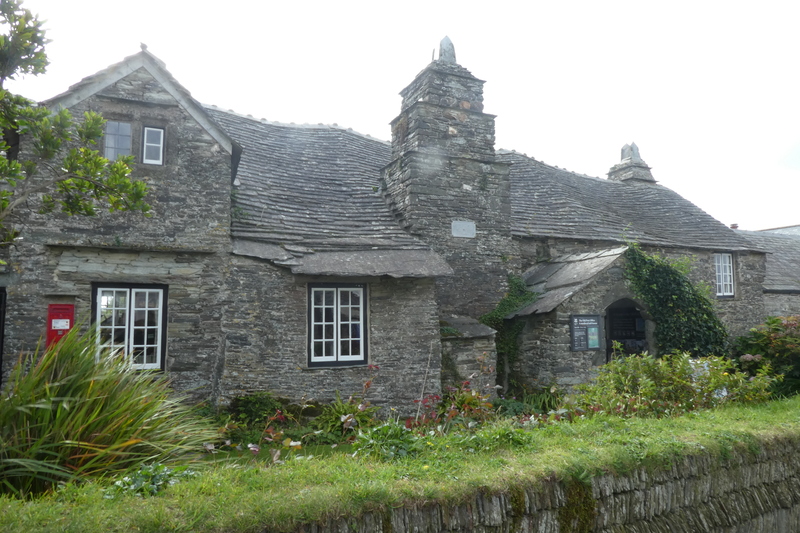 After my slightly disappointing visit to Tintagel Castle, I hitched a ride up the hill on the mini bus they provide (thank heavens, one less Cornwall hill to negotiate) to the village. While waiting for a bus to take me back to Port Isaac (I was never quite sure, while in Cornwall, whether or not a bus was going to come), I wandered up the main street and came to a 14th century medieval hall house. It has the most gorgeous undulating roof and walls, and I absolutely had to go in for a look. I thought, while I was in Port Isaac, I’d catch a bus out to Tintagel. There’s a castle there, or the ruins of one. It was built in the 13th century by Richard, Earl of Cornwall, brother of Henry 111, with an outer bailey on the cliff tops of the mainland and an inner ward with a great hall and chambers on an isolated and inhospitable rocky headland.